Sometimes the question is asked why you would need a water storage tank when you have access to running water. Allow us to explain. There are many different reasons why either a business or home would make use of a water storage tank. All of the different uses boil down to one main aspect – money. While most homes in the UK have access to running water, it is not free and can cost a household or business dearly, depending on the amount of water that is used on a daily basis. Relying on tap water all day, every day, is not a sustainable way of living, especially if you constantly use water to help with growing crops on any agricultural land. Depending on the size of the farmland, type of soil and crops growing, it can take as much as 40,000 litres of water to irrigate one acre of land. No matter where you are in the country, the daily costs would be monumental and do not make financial sense when it is possible to invest in a water tank to use as a viable storage unit. Household users invest in water storage tanks for both their home and garden – this will mean investing in a potable tank, capable of storing water suitable for drinking and washing with. Storage tanks can be used to keep a wide range of liquids that households will have a use for. Our storage tanks can not only help any household cut back on the cost of water, but they can also double up as an efficient means of storing fuel for any car or other vehicles without having to head to the nearest fuel station. Storing your own fuel also means that you do not fall victim to the ever-increasing prices of petrol and diesel, saving you money in the long-run. 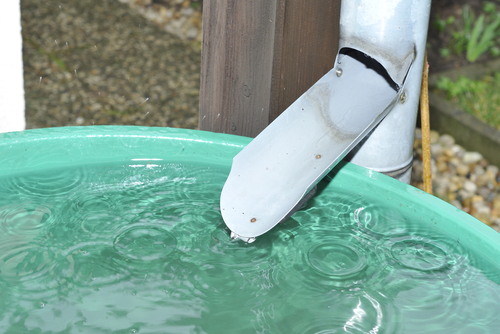 One of the more popular uses for water storage tanks is to harvest rainwater, especially for those that are keen gardeners. This is because that, not only harvesting rainwater is cheaper than using tap water, but using the planet’s natural elements is far better for plans. With the absence of added chemicals that can do more harm than good, you will see your plants grow more radiantly than before. For more information on why you should invest in a water storage tank, please call the Tuffa Tank team on 01889 567700 today or fill out an enquiry form.